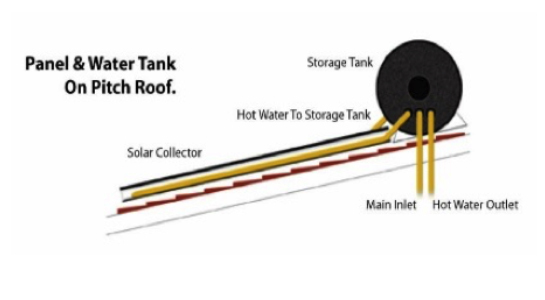 Solar water heating (SWH) is the conversion of sun heats for heating up the water using a solar thermal collector. Solar water heating systems comprise various technologies that are used worldwide increasingly. There are two type of solar water heating. 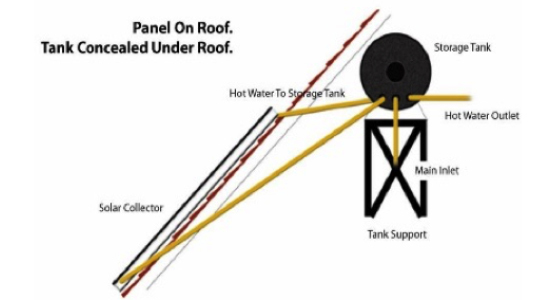 In a “close-coupled” SWH system the storage tank is horizontally mounted immediately above the solar collectors on the roof. 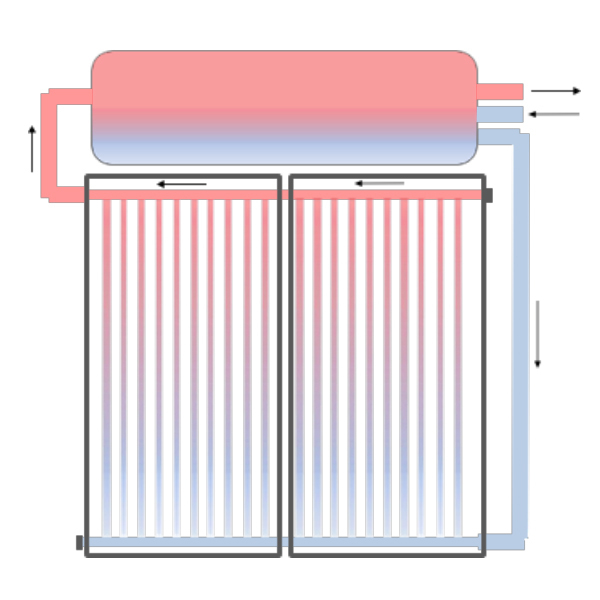 No pumping is required as the hot water naturally rises into the tank through thermosiphon flow. 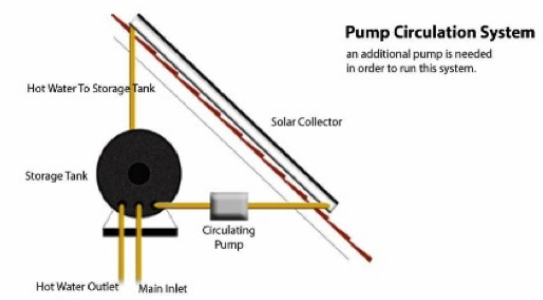 In a “pump-circulated” system the storage tank is ground- or floor-mounted and is below the level of the collectors; a circulating pump moves water or heat transfer fluid between the tank and the collectors. SWH systems are designed to deliver hot water for most of the year. However, in rain season there sometimes may not be sufficient solar heat gain to deliver sufficient hot water. In this case electric booster is used to heat the water.